IFO’s …. Other objects being reported Presentation outlines various natural and man made objects, which are often mistaken for UFO’s. References and photographs from actual MUFON cases are presented and unknowns are identified. technology gleaned from a crash recovery in the Black Forest Germany in the 1930’s to the 1947 Roswell crash. Various alleged German UFO’s are shown. Alleged modern technology can be attributed to the knowledge and items recovered, which are in place today in Military, Medical and Aerospace industries. MUFON case which started off as reported object(s) in the sky and turned out to almost result in a min-air collision. This event occurred back in 2013 over the greater Danielsville / Allentown PA area. Actual radar tracking is shown to reveal the actual collision paths, as well as the approximate size of the unknown. 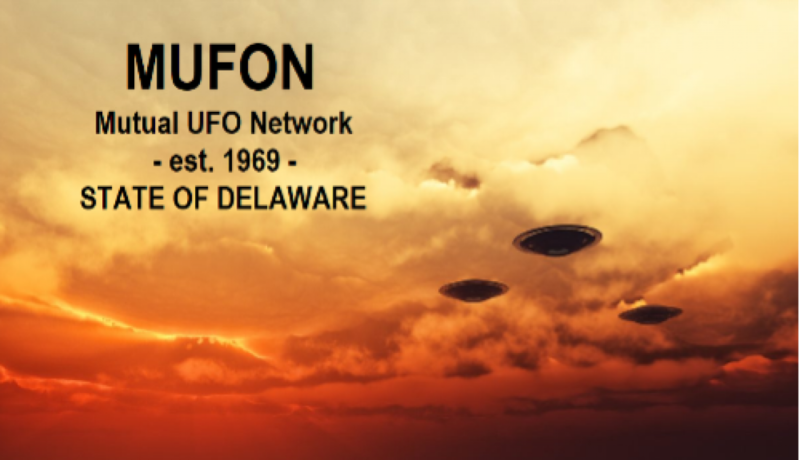 Click here to fill out a form to have MUFON Delaware speak at your event.